If you have a cat in your home, it's important to know some basic first aid principles. That way, you can not only be aware of when your cat might need emergency medical care but also the best ways to avoid ever needing to use it. Keep your cat indoors. There are far more dangers for your cat outside than you will be able to protect him from. 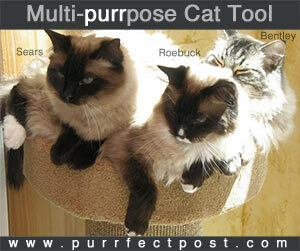 Cars, people, poisons, toxic items, fights with other cats, and the potential for accidents are all greater outside. Don't use mouse poison or dangerous chemicals in your home. If you must have toxic items in your home, keep them under lock and key. Be aware of lesser-known dangers like detergent pods. Keep an eye on your cat. Observe your cat routinely. Learn what normal behavior, weight, appetite, and litter box habits are for your individual cat, and then monitor closely for any changes. Being aware that there is a problem is essential to treating it quickly. If you see your cat in distress, it's important that you remain calm and think things through. First, stop and do the best you can to assess the situation. Look at what's going on and determine the right course of action. Check for whether your cat is breathing and has a heartbeat, then evaluate any signs of illness or injury that are being displayed, so you can determine what type of first aid needs to be applied. You can learn about what normal baseline vitals should be for your cat and how to check them here: "Baseline Vitals in Cats and How to Measure Them." Once you've performed basic first aid, get to a veterinarian as fast as possible. Program your regular veterinarian's and the local veterinary emergency clinic's numbers into your phone, so you can call once you are on your way. This will help the staff be as prepared as possible for your arrival so that they can jump into action quickly. You may need to take some special precautions while transporting your cat to the vet depending on what the emergency is. Learn more: "Handling and Transporting an Ill or Injured Cat." Besides programming local veterinarians' numbers into your phone, you can do a few other things to help prepare you for any emergency situations that might arise for your cat. 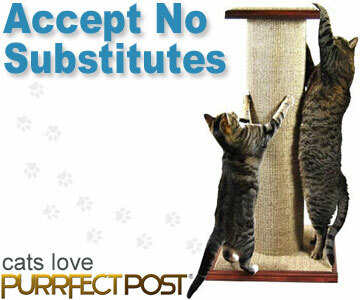 Get set up with pet insurance when you first acquire your cat or as soon as you can. You will not want cost to be an issue during an emergency with your cat. You can learn more here: "Pet Insurance: Peace of Mind for Your Cat's Health." Prepare a first aid kit. Keep items that are commonly needed to treat cats in emergency situations nearby at all times. We have prepared a list of the things we think are most necessary to have here: "First Aid Essentials for Cats." We sincerely hope you never have to face an emergency situation with your cat. But being armed with as much knowledge as possible can help you handle it if it does happen.